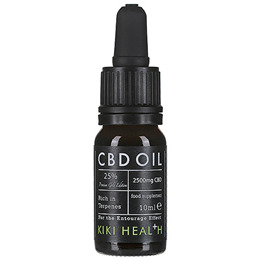 This premium CBD Oil contains the full plant product with all its optimum effects. It contains 25% CBD along with all other cannabinoids and terpenes produced by Cannabis Sativa L. CBD, CBC, CBG, CBDV. Bottle size - 10ml: Approx 200 drops. Each drop contains approx 12mg CBD per drop. Purified CBD (Cannabidiol) full plant extract, hemp seed oil. Put 1-2 drops under the tongue 3 times a day. Swallow after 90 seconds. Do not exceed 10 drops per day/in a 24 hour period. 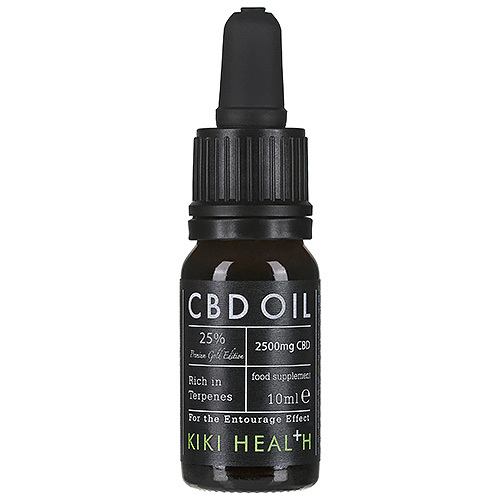 Below are reviews of KIKI Health CBD Oil 25% Premium Gold Edition - 10ml by bodykind customers. If you have tried this product we'd love to hear what you think so please leave a review.